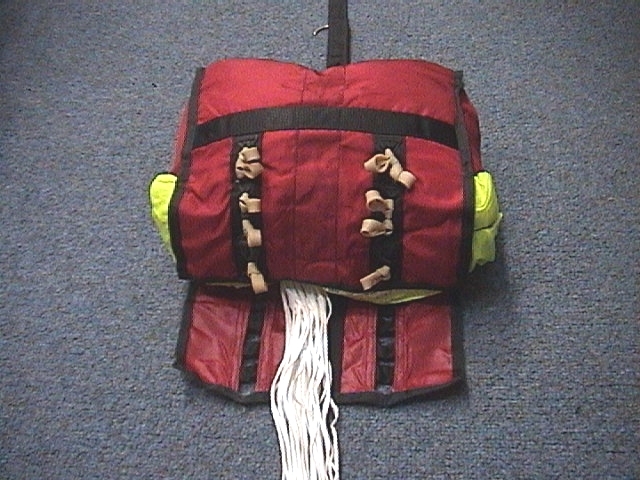 Introducing the “Speed Bag” a new type of deployment bag from Parachute Labs. the manufacturing and development arm ofJump Shack. 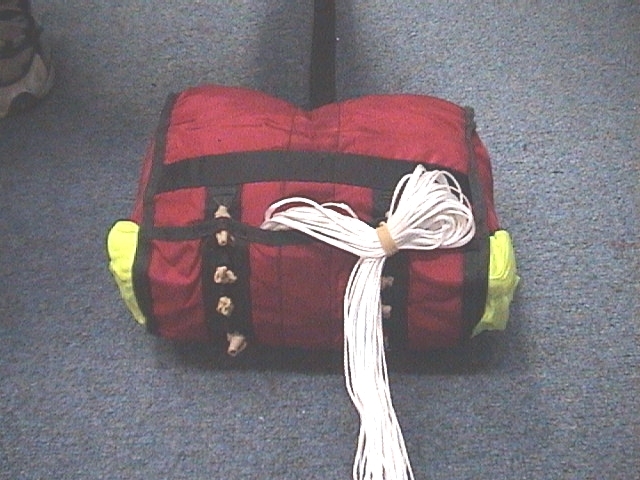 The Speed Bag is a deployment bag with all of the line stows employed as locking stows. 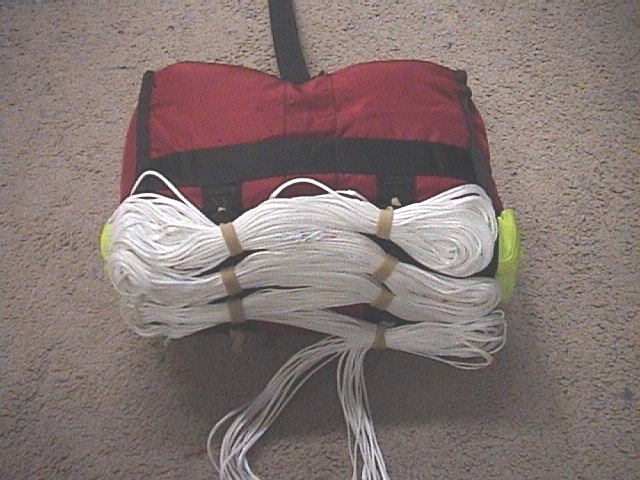 Additionally, the stows are balanced for equalization of mass to further prevent line dump. This is important for Skydivers who are traveling at speeds of in excess of normal spread, face to earth speeds. At higher speeds we are much more prone to line dump because of the increase of inertia. The Speed bag utilizes 2 over lapping flaps to close the bottom of the bag. The first flap is for the mounting of the stow bands and closes over the canopy (see first picture). The second flap which closes from the bottom up in the old fashion way is fitted with reinforced openings which correspond to the rubber band locations. It is closed by drawing the lines up over the first flap and aligning the first holes with the top most rubber bands. These are your first locking stows (see second picture). The remainder of the stows additionally lock the flaps closed as you bring the rubber bands through the holes and finish stowing the lines . Note that the Speed Bag has no grommets for the line stows.